The 2019 Netherlands International Professional Audiovisual and System Integration Exhibition (ISE 2019) was held on February 5-8 at the Amsterdam International Convention Center in Amsterdam. ISE being the most influential event in the industry represents the highest authority in the application of audiovisual technology in the commercial field. 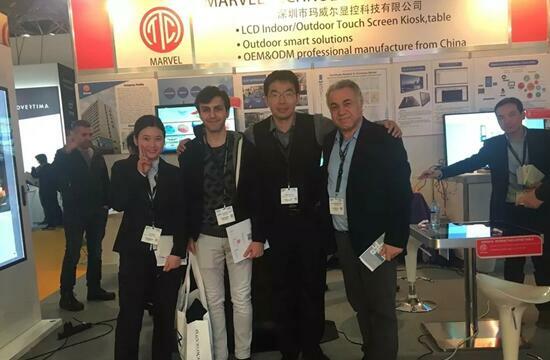 The Marvel Group brought a variety of LCD display products to the show, which caused widespread concern in the international market. ISE is a top-notch and successful international level audiovisual and system integration exhibition in entire the Europe. It attracts professionals from 40 different countries around the globe, and caters more than 1,300 exhibitors. This is a platform provides opportunities for innovators, self-developers and industry top-shots to introduce upcoming technology. The exhibition was held at the RAI Exhibition Hall in Amsterdam, the Netherlands, for a period of four days. The 11 multi-purpose exhibition halls housed many LCD industrial chain companies from all over the world. 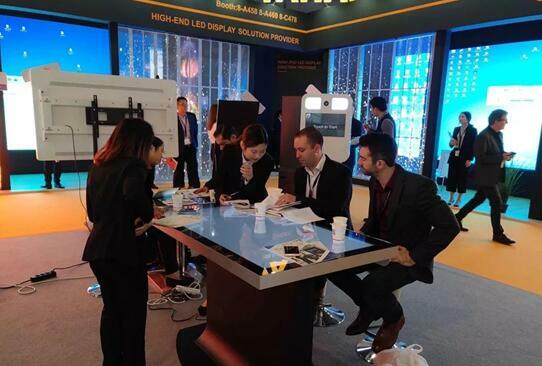 Numerous enterprises unveiled their upcoming products and technologies that the exhibition. 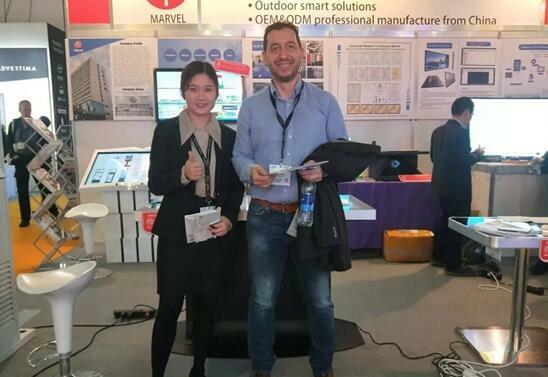 Marvel also showed the latest generation of LCD displays to the exhibitors, and after the pro-test of many overseas customers, the excellent and outstanding performance of the products led to a large number of orders via our website. The newly developed intelligent bus station system has many functions such as real-time arrival and bus station forecasting, IP65 level waterproofing, instant information release, mobile intelligent monitoring, information collection and display, multimedia information service platform, etc., 32-inch to 98-inch options are available. 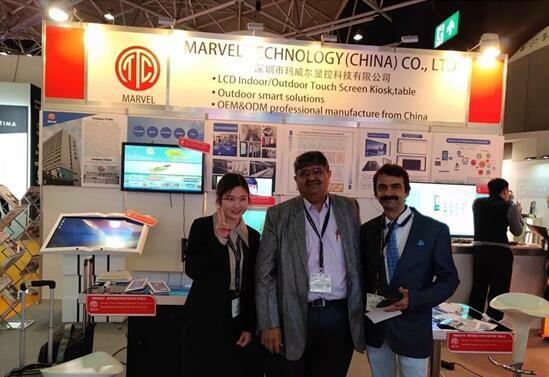 Shenzhen Marvel Display & Control Technology Co., Ltd. is a national high-tech enterprise created by Shenzhen Municipal Government. 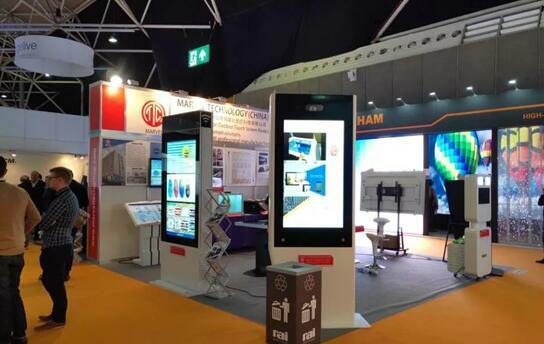 Professional R & D, production and sales of multimedia smart terminals, vertical advertising machines, outdoor advertising machines, electronic multimedia bus stations and other digital signage commercial display devices are among their top products. The Marvel technological, development, and managing team comprises of finest and knowledge individuals. These individuals are considered epitome among their respective field. Marvel management understands every customer’s need at an individual level, and incorporate those needs in their product specification. Thus, they deliver a product that is the perfect blend of state-of-the-art technology and consumer requirements.